What is it with craving fizzy drinks after workouts? Among my triathlete and runner friends there's a rare consensus that cold bubbles are thirst quenching. Laurel hits Subway or Chipotle after workouts, picks the largest cup possible, and fills it with soda water and a splash of lemonade. SJ reaches for a beer after long rides. Melissa likes cold Vintage seltzer after swims. I'm a seltzer fan too and have been drinking it daily now that I have a SodaStream (Valentine's present!). I like to mix it with fresh juice. In the summer I make cherry lime seltzer and over New Year's Eve I made a fresh pressed cranberry pear version. 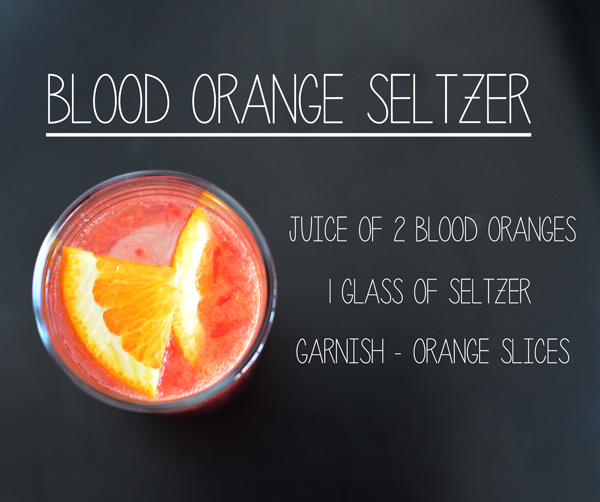 Now that blood oranges are in season, I've been adding their tangy sweet juice to seltzer for a refreshing winter drink. 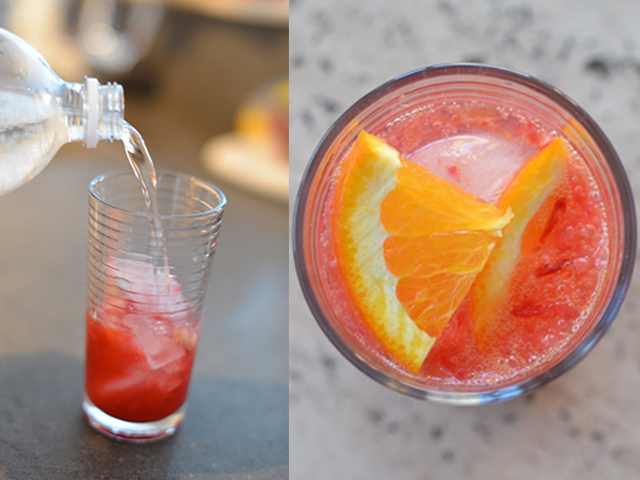 This little mocktail has been key in getting through these first few weeks with a new baby. I hadn't realized how hard it was going to be to stay hydrated while feeding and taking care of a baby nonstop, on top of trying to workout. But I just squeeze a few oranges (which are delivered by Fresh Direct) in the morning and I have enough juice to make drinks for the entire day. Do you guys have a favorite after fizzy thirst quencher? 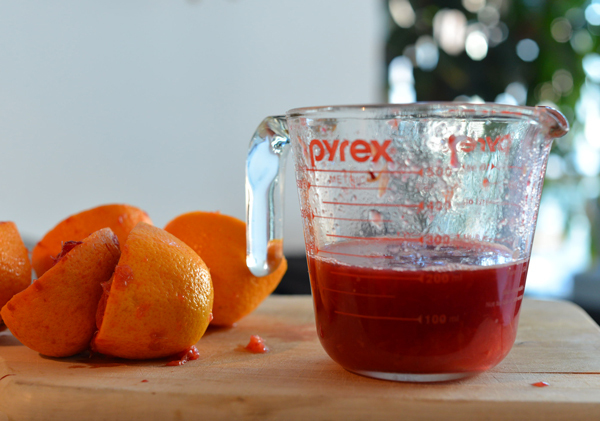 Feb 12 Athlete Food: Do you Get Runners Stomach Ache?